Australian female voiceover narration for eLearning. Highly experienced and professional voice artist, quick turnaround, quality work. 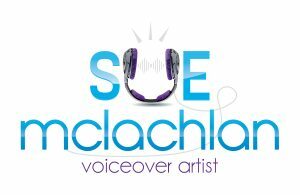 Sue McLachlan is a talented Australian female voiceover artist, who specialises in narration for eLearning for corporates and small business. Her voice has been used for training programs for companies including AGL, Drugs and Alcohol Services Australia, Brisbane City Council, Australia Post, HESTA, AMP and many more. Sue understands the importance of quality audio and works from a broadcast quality studio, with top of the line equipment, including a custom build soundproof booth. Training narration needs to be engaging and Sue is able to tailoring the read to the audience - whether that be fun and friendly or corporate and highly professional. Get in touch with Sue to discuss your next eLearning project's voiceover requirements. You can hear her demos here and she would be happy to provide a short sample free of charge.